How Common Is Budgeting For Americans? 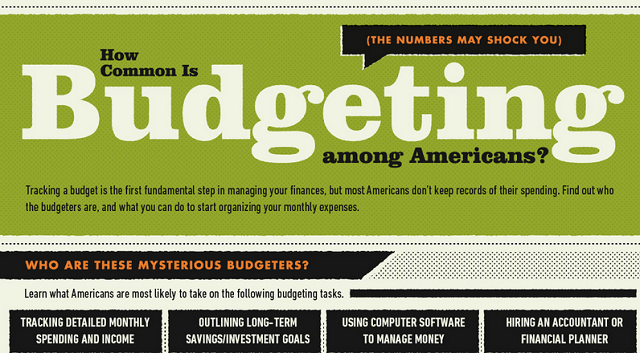 #Infographic ~ Visualistan '+g+"
Tracking a budget is the first step in managing your finances, but most Americans don't keep records of their spending. Find out who the budgeters are, and what you can do to start organizing your monthly expenses.